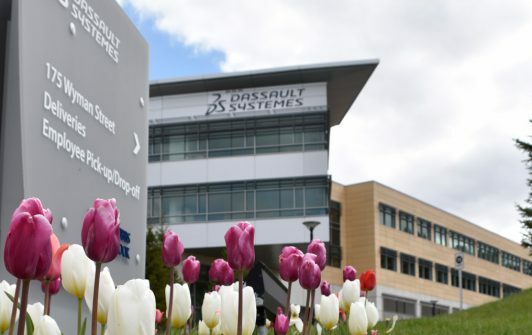 Dassault Systemes is an international software firm that operates in 140 countries and embraces innovation as a core value. 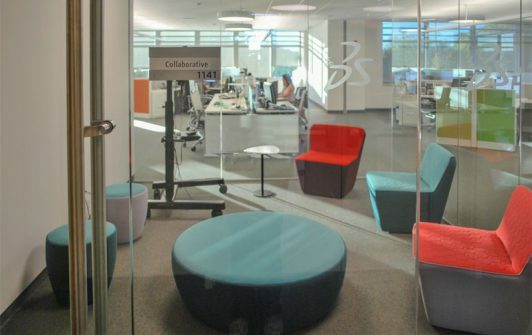 Well-known for its 3D modeling software, Dassault Systemes chose a desirable location at 175 Wyman for its North American headquarters – but not without hitting a snag. While developers were eager to reclaim the Class A commercial office location and its prominent vantage point along the 128 corridor, it had laid vacant for several years. 175 Wyman had been home to one of the largest information technology companies in the world, but contamination from the aging building ruined the site. Despite numerous studies to remediate the issue and renovate the original structure, 175 Wyman was ultimately demolished, due to floor-to-ceiling height issues and contamination in the foundation. A remediation system was installed to clean the soil underneath the new foundation, and Dassault prepared to move in. 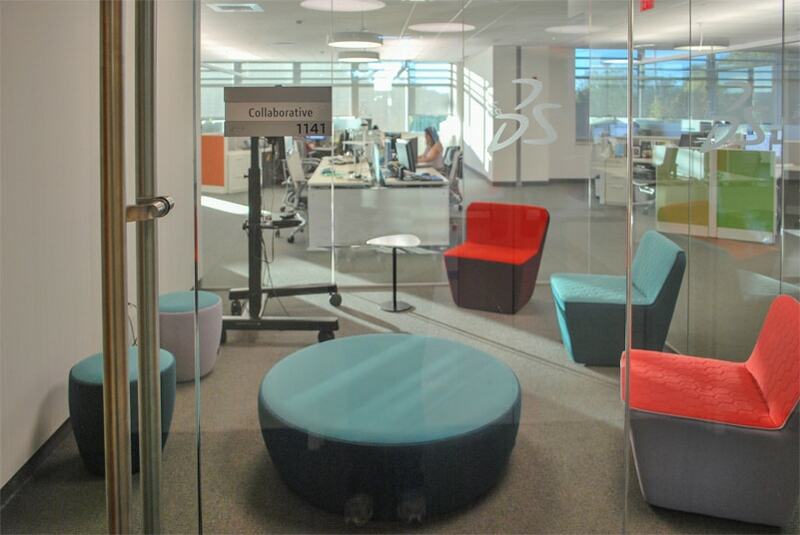 With the help of Boston-based AHA Consulting Engineers (AHA), Dassault set to create a sleek, modern campus to support its international sales and innovation goals. It planned to utilize its own 3D software throughout the design process. 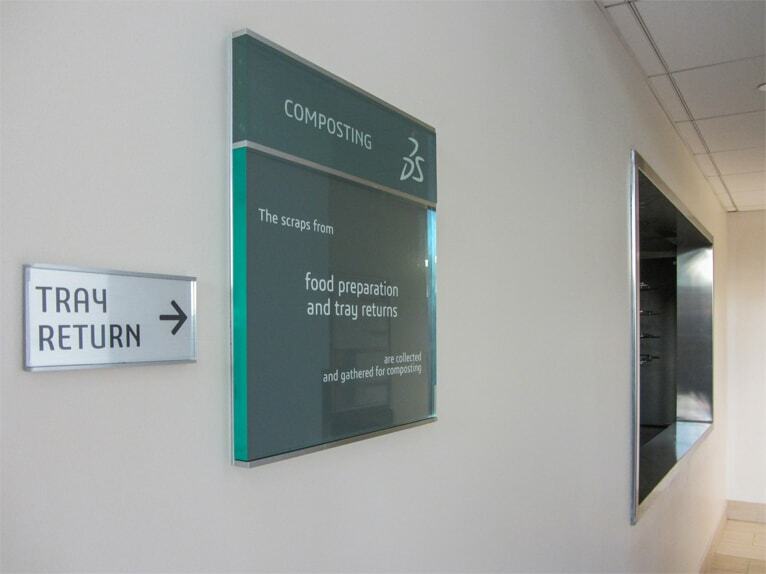 The company also sought to achieve the highest LEED Certification for its new campus, as an homage to its environmentally-conscious corporate culture. 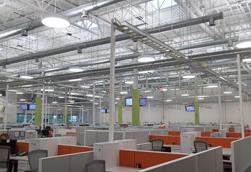 A full-service MEP engineering firm with a strong mission critical design portfolio, AHA designed a power system appropriate for a new computer lab and data center that would support Dassault’s local needs and domestic operations. 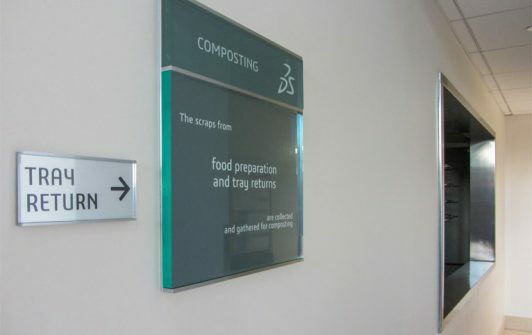 It also specified the use of low-flow water fixtures to reduce water consumption on-site. 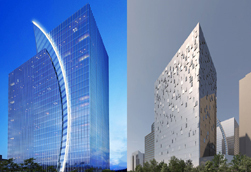 For the mechanical systems, AHA devised a rooftop air handler solution that utilizes state-of-the-art evaporative VAV cooling. The HVAC units themselves use a chemical-free electrostatic water treatment unit instead of chlorine. Overall energy use is reduced by 29 percent through a combination of high-efficiency rooftop HVAC units and boilers. 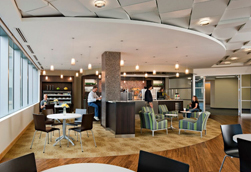 In fact, AHA’s mechanical engineering design and energy modeling contributed to the most significant portion of the LEED points awarded for the projects, achieving 34 out of the 37. The campus achieved points for optimized lighting power performance, optimized lighting control performance, optimized HVAC energy performance, optimized equipment and appliance performance, enhanced commissioning, measurement and verification and green power. The firm also achieved project points for overall innovation in design. 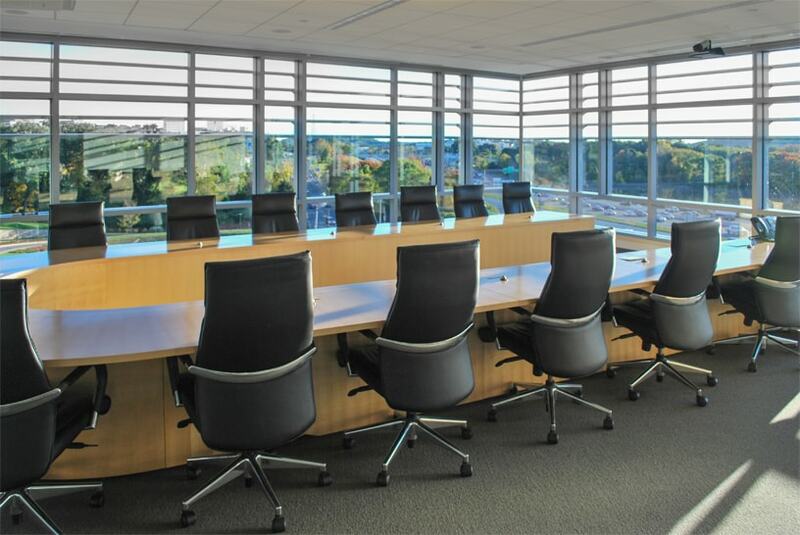 Through close collaboration with the client, developer, architect and engineering team, AHA was able to deliver a premier corporate campus in a desirable suburb of Boston. 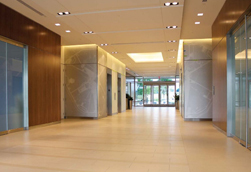 The building core and shell achieved LEED Gold Certification, and AHA’s work contributed to the award of LEED Platinum for the fit-up. 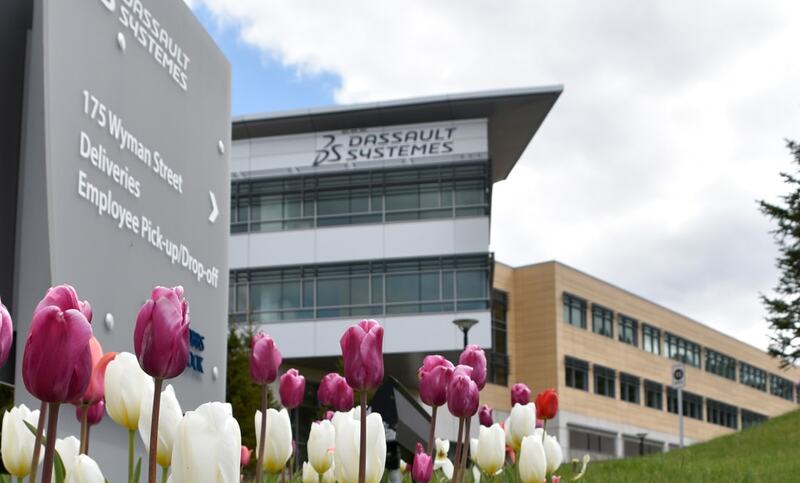 Today, the Dassault Systemes campus shines as a hub for sustainable innovation. 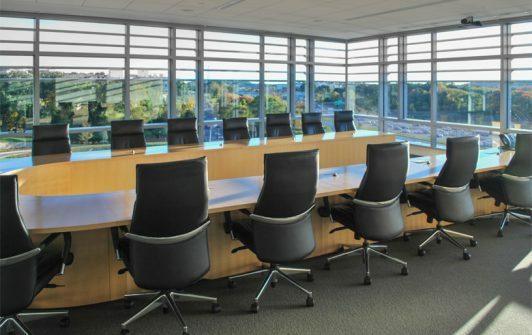 Its awards include the Commercial Brokers Association Suburban Office Deal of the Year and the Massachusetts Alliance for Economic Development (MassEcon) Team Massachusetts Economic Impact Award.